The Rainbow Tree As the outer layer of the rainbow eucalyptus tree’s bark peels away, the bright green layer underneath begins to show. Over time, it fades to a darker green, and then to blue, purple, pink, orange, red, maroon, and back to brown. When it reaches that point, it will peel again and start the process anew. Since different layers peel at different times on different parts of the tree, the result is a tree trunk and branches that look like they’ve been painted with hundreds of brushstrokes. 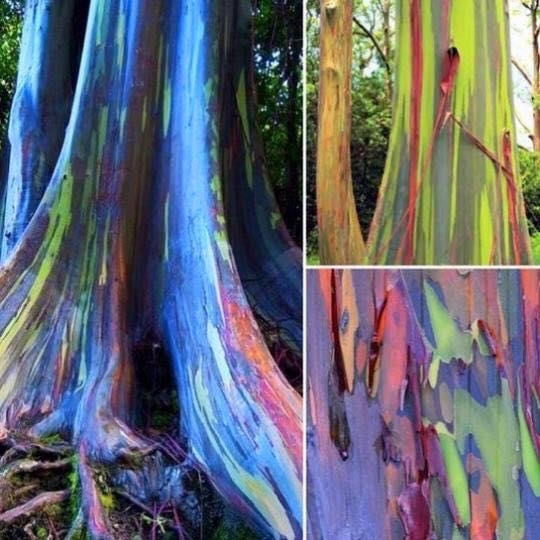 The rainbow eucalyptus is native to the Philippines, Papua New Guinea, and Indonesia, and is grown in other tropical environments that are similarly mild and humid. Unfortunately, it cannot survive hot and dry weather or frosty conditions, and can only be grown in specific regions near the equator that will sustain this type of tree. 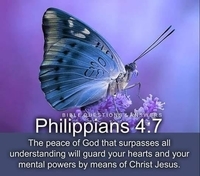 Thank you Jehovah God for your creation and the beauty we can behold!